Early morning drive to Hollong for thrilling elephant safari is organized in the early morning from Hollong - It offers the exquisite beauty of the vast grassland of Jaldapara - One can sight Indian rhinos, bison, deer, and Asiatic elephants – Back to resort for breakfast - Next one has to drive 2 - 2 ½ hours to Gorumara National Park at Lataguri –Gorumara National park is believed to hold 50 species of mammals,300 species of birds, 20 species of reptiles and 30 species of amphibians-Gorumara National park has huge grasslands with deciduous forests-Lataguri - It ensures a pleasant climate round the year so it isn’t a problem even if you’ve set your visit any time of the year - The entire in eastern Himalayan region has six National Parks and Wildlife Sanctuaries and is famous among tourist for its Wild life and Tea tourism – Evening free to stroll around the local market – Night halt at Lataguri Hotel / Resort. 3N 4D Dooars Package makes sure you make the best of out of this trip in Dooars. Early Morning breakfast - After breakfast transfer to Siliguri / New Jalpaiguri Railway Station (NJP) / Bagdogra Airport (IXB) / Tenzing Norgay Bus Stand (Junction) via Coronation Bridge, Sevoke Kali Mandir, Sevoke - Nearly 115 kilometers 3 ½ - 4 hours drive –Hope you enjoy the visit. Lataguri: Lataguri, situated on the outskirts of a National Park itself, is an ideal place to set free the wild child in you. Lataguri is the most uncultivated and pristine form of wildlife. This area provides the wider scope for the adventure and thrill to the visitors. Tourists can enjoy the wild drive in the wilderness, visit caves in the forests, go trekking, also watch a number of unknown species of animals, flora and fauna and birds. Gorumara National Park: This place is situated in the Dooars region of the Himalayan foothills. Gorumara Forest is well-known foe One-Horned Rhino. When on your next trip to Dooars, the Gorumara National Park is a site that you cannot miss to afford. 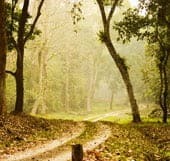 The medium sized forest, Gorumara Spread over an area of 80 square kilometers, has a large variety of flora and fauna on display for the nature lovers, curious visitors, and wildlife photographers, who visit this beautiful place to catch a sight of the miraculous workings of nature. Samsing and Suntalekhola: Samsing, Situated at an elevation of 3000ft, is one of the nice cool shady places. If you are a nature admirer and searching for mountain stream, forested landscapes, and then it is the perfect destinations for you. And Suntalekhola is a small hamlet bordered by dense forest. Among nature lovers who want to spend a couple of days in complete silence in nature's lap the forest lodge here with few cottages is very popular. 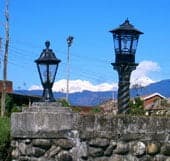 Jaldhaka: Jaldhaka located at the India- Bhutan border is a valley town hidden in the hills of Darjeeling. This place is a fine combination of the beauty of a relaxation trip with the thrill of an adventure getaway. In the hills of is Jaldhaka, a quaint hill station by the Jaldhaka river Valley. 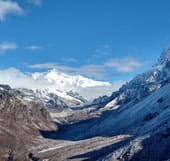 If you want to get away from monotonous routine to in the urban jungle, then Jaldhaka is the place to be, here you can find Rivers, mountains, ethnic Indian Bazaars, and also can experience treks. 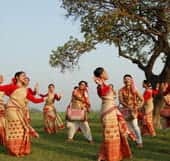 Coochbehar: Cooch Behar is only planned city in the north Bengal region, also one of the largest cities of the state of West Bengal. With signs of the bygone era, this city is replete and it is the very place of the most prominent of them being the breathtakingly beautiful Cooch Behar Palace. For the eco-tourists along with those with an inclination towards history and archaeology, this place makes up as a good option for weekend gateways. 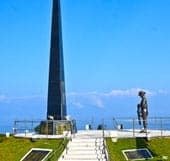 Rajabhatkhawa: Rajabhatkhawa is a small town located in Alipurduar district beside Buxa Tiger Reserve. There is a museum mainly focused on animals and jungles also another famous tourist spot is the animal rescue center. Injured tigers and leopards are treated in this center and released back to the forest. So Book Now 3N 4D Dooars Package to make most of your Bhutan Trip. We provide 01 Non a/c Indica/Innova/Xylo for 02-06 and Premium Category including child. We provide 01 Non a/c Bolero / Sumo Gold for 02-08 PAX in Deluxe and all Category including child. In case the number of heads increases, than the guest will have to take another vehicle with an additional cost. Vehicle will be available as per above mentioned itinerary only for this tour. Luxury Packages: Equivalent 3* Deluxe Hotel in EP Basis. Deluxe Packages: Equivalent 2* Hotel with Breakfast & all Modern Amenities in EP Basis. Budget Packages: Equivalent 1* Hotel with Basic Facilities in EP Basis. Our professional team advises the best suitable package as per guests need and budget. Our Cab rental service operated from NJP , IXB , any station in Dooars, Guwahati and Paro Airport (Bhutan). Book Your Tour Here !